GreenRoad Mobile acts as a ‘coach in the cab’ alerting drivers when they undertake risky maneuvres such as harsh braking, swerving, or sudden acceleration, by monitoring 150 different vehicle movements. The consultancy, which covers Bedfordshire, Buckinghamshire, Hertfordshire, Northamptonshire and surrounding areas, has joined GreenRoad’s new reseller partner programme. Telematics Pro is a new company that advises businesses on how to improve driver safety, increase productivity, manage fuel and running costs, with an emphasis on using telematics to achieve these goals. Ben Peters, Director of Telematics Pro, who has an extensive background in the sector, said: “Health and safety is the key driver now for installing telematics systems and GreenRoad is second to none from the driver safety point of view. “GreenRoad Mobile is a robust telematics solution that is an interesting alternative to the hard-wired system as it offers great flexibility and total ease of use. The dashboard is a system which the market understands and is one which is in demand as a driver safety tool. Ben was particularly impressed with how the back end of the product had been developed. GreenRoad was founded in 2004 by two mathematicians who wanted to help fleet operators to improve driver safety and reduce overall risks and costs. Chris Hoborwyj, Director of Sales UK for GreenRoad Technologies, said: “We are delighted to welcome Telematics Pro to our reseller partner programme and look forward to a long-term working relationship with the company. Fleets using GreenRoad’s driver behavior solution have seen dramatic drops in risky driving behaviors; falls of around 35% in accident-related costs, lower insurance costs and cuts in fuel costs of up to 15%. GreenRoad Mobile is an app that works on smartphones or tablets, making it ideal for fleets that are leased, or for companies where staff drive their own vehicles. There is no need to install any equipment in the vehicle. 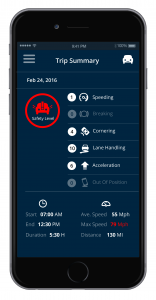 All a driver has to do is download, install and run the app on a smartphone or tablet then place that device in the cockpit of the vehicle. The app ingrains good driving habits on a daily basis until they become second nature, effecting long-term, positive, sustainable change. 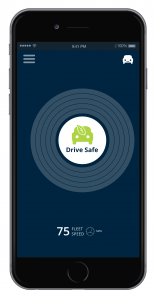 As well as alerting drivers in real time, the app allows managers to access succinct, focused reports on fleet performance, enabling them to identify accident blackspots, idling hotspots and drivers who may need further coaching. GreenRoad is a global leader in fleet performance management solutions, helping organisations achieve greater productivity and improved safety and performance through real-time actionable data. GreenRoad’s advanced technology and analytics help organizations of all types improve driver safety, increase operational efficiencies, and maintain corporate and regulatory compliance while reducing overall risk. For further information contact Celeste Clarke at Century PR on 024 7622 8881 or email celeste@centurypr.co.uk.